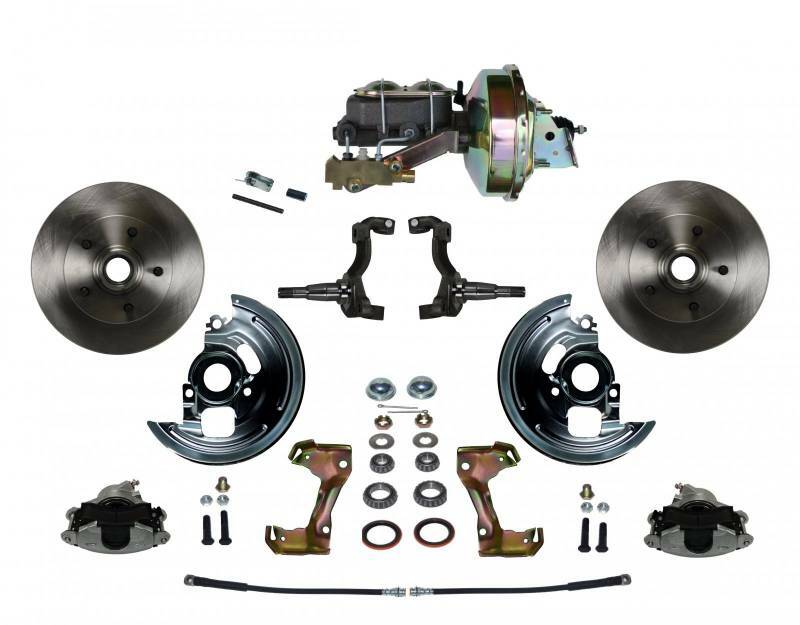 Add the safety, reliability and performance of disc brakes to your vehicle with our drum to disc brake conversion kits. 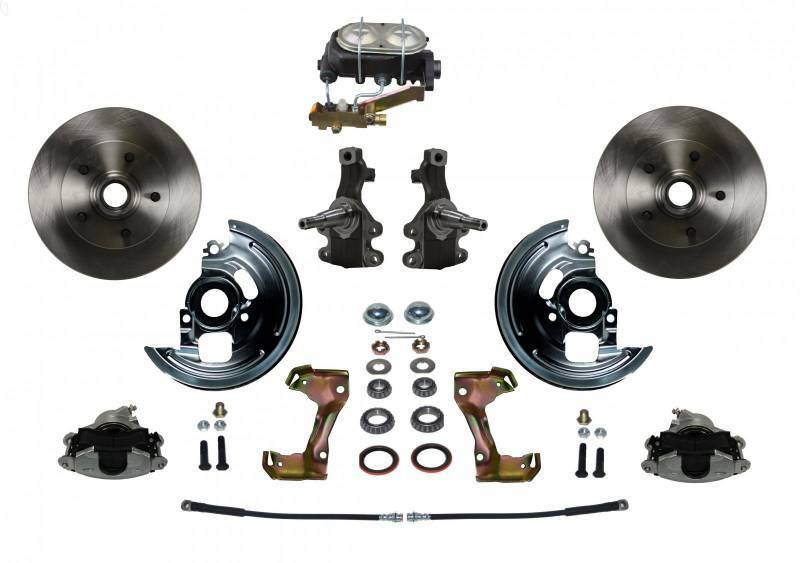 The LEED Brakes drum to disc brake conversion kits will improve your stopping power while retaining that factory disc brake look. 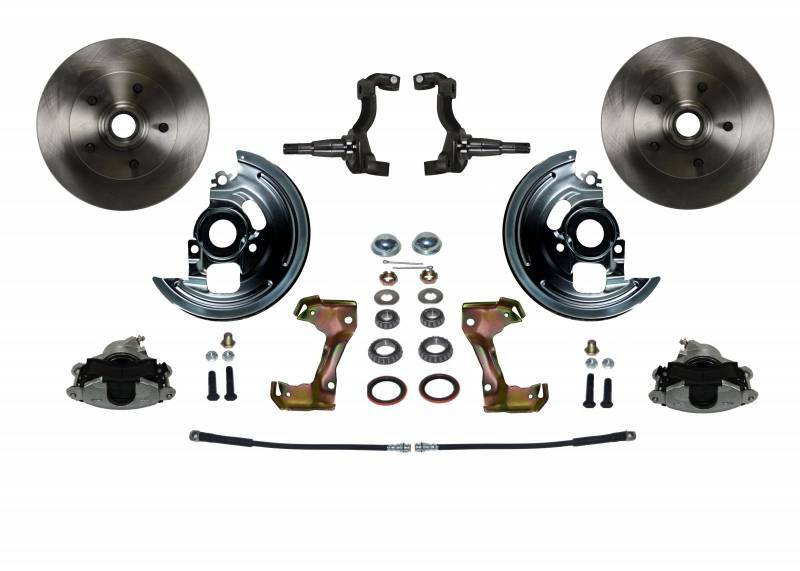 The LEED Brakes kits are an easy installation mounting to all factory mounting locations. 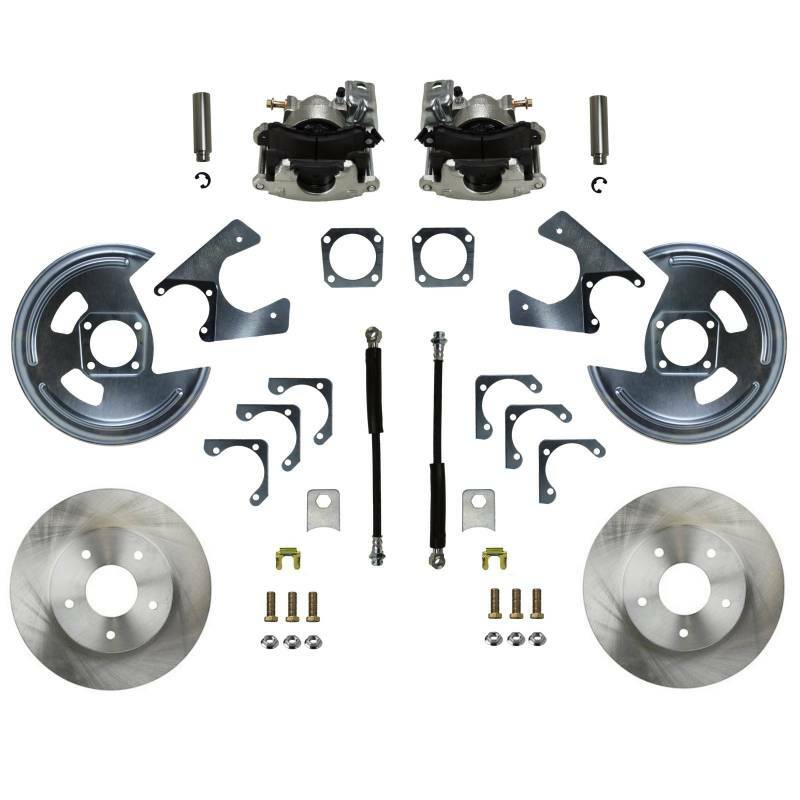 All components in these kits are new high quality, precision machined products. A great kit with a factory look and easy installation! You can also select from the Year, Make & Model search at the top of the page to view all of our products for your application. All kits ship with only the highest quality components. Calipers, Brackets and Splash Shields are Zinc Plated for Anti-Corrosion protection to keep your brakes looking new! Complete installation instructions walking you thru every step of the installation with pictures. Stumped on your installation? Call our industry leading tech department to discuss ANY brake questions you may have. 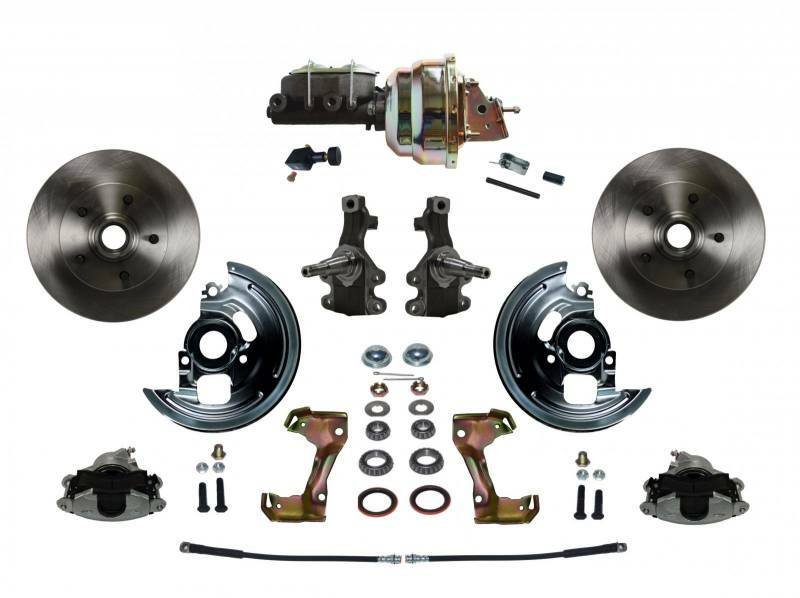 All LEED Brakes kits for the 1964-74 GM A, F and X Body cars are a simple installation. 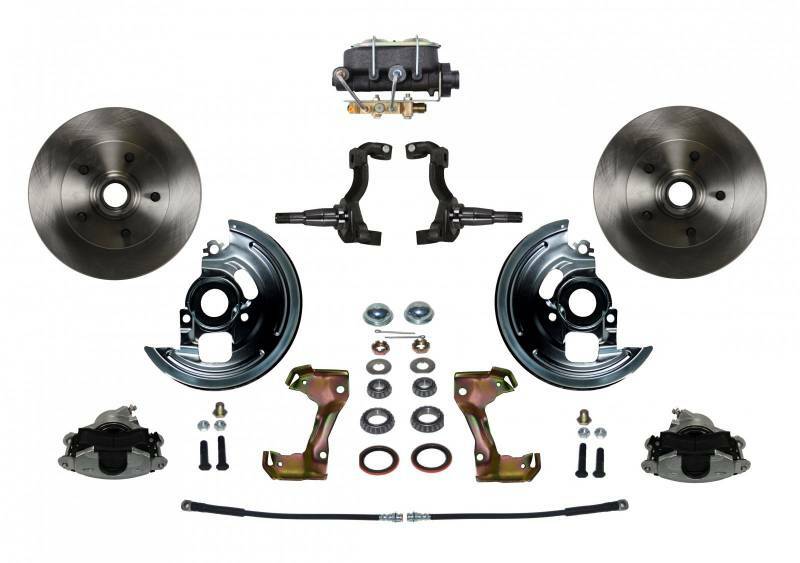 Our disc brake kits are designed to fit to your factory control arms without any modifications. The stopping power comes from our Single Piston Caliper which is a replica of the Factory GM D52 calipers used on the factory disc brake GM cars from 1968-1996. Our calipers are assembled with top quality steel pistons and have a zinc plated finish on the caliper casting for maximum corrosion protection. If you do have any questions about the brakes on your Muscle Car please call our tech experts at 716-852-2139.